Power up your device, crab a coffee and start reading! 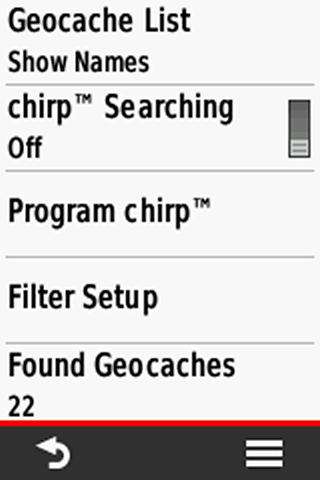 Choose "GPS + GLONASS", "GPS" for more battery life. Connecting the handheld to a PC you get the screen "USB Cable Detected. Would you like to go to Mass Storage?" (screenshot below). 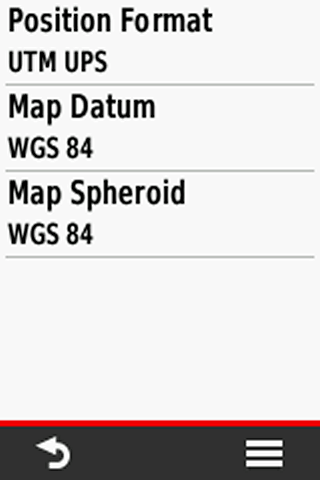 "Yes": Activiting the mass storage, you get access to the file system and can copy data or install maps (e.g. 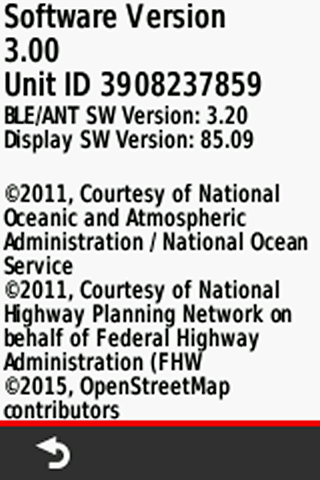 with Garmin BaseCamp); "No": Device is powered by the external source. "Mass Storage": When selected, mass storage is activated immediately when connecting to a PC. 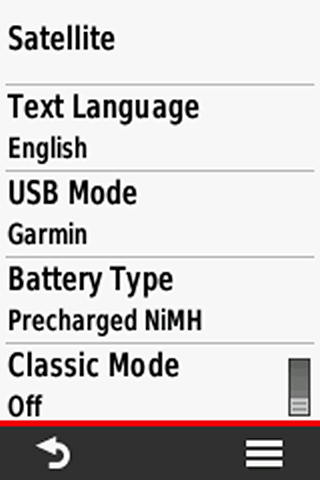 When activating the "Classic Mode" you get a user interface similar to the Garmin Oregon; this mode is active for all profiles! After power on you start with the recently active profile (like the Oregon) and not with the activity selection screens. 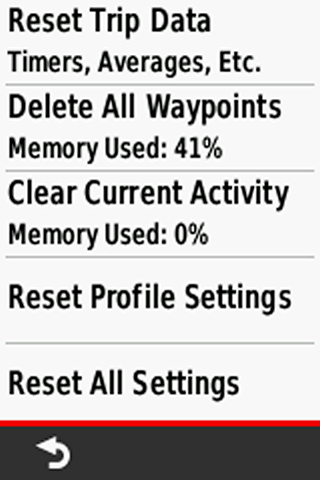 Choose a timeout as short as possible to get more battery life, timeout should depend on your activity and profile. 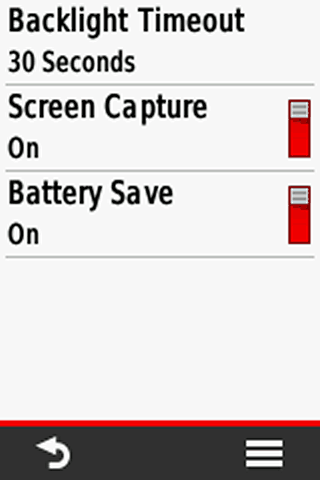 You can save images from you device screen, turn "off" except you need it. 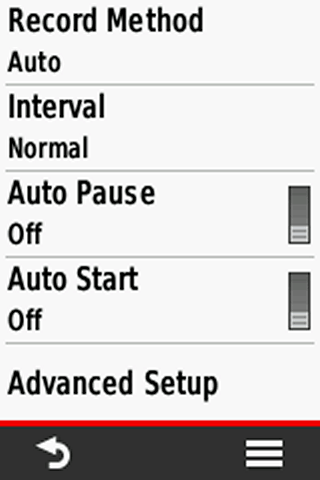 Turns the screen completely off when you choose "On" (depending on the time defined in "Backlight Timeout"; touch the display for turning on). 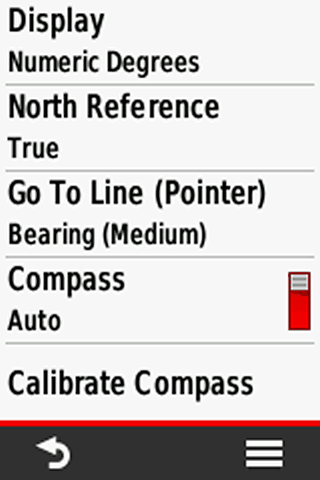 Pair the device with a smartphone (Garmin Connect Mobile App must be installed, available for Android/iOS/Windows) and show or hide Smart-Notifications, otherwise disable the function ("Connection > Off"). 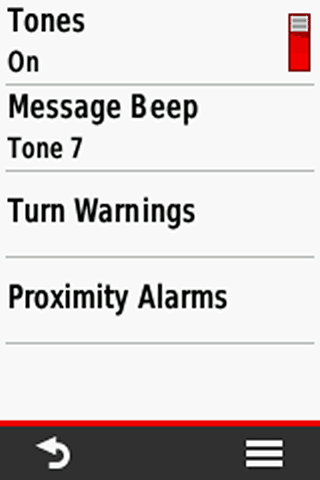 When pairing watch for messages on your smartphone screen, you must enter a passcode provided by the eTrex Touch. 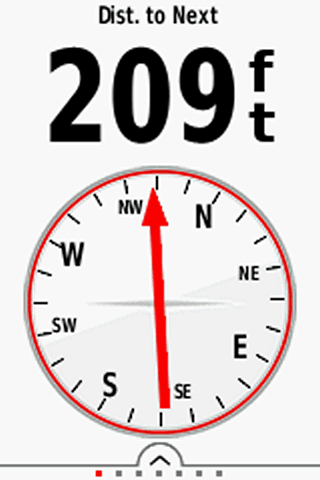 Choose between different informations (data fields, graphics) on top of the map. Depending on your activity and preferences, e.g. 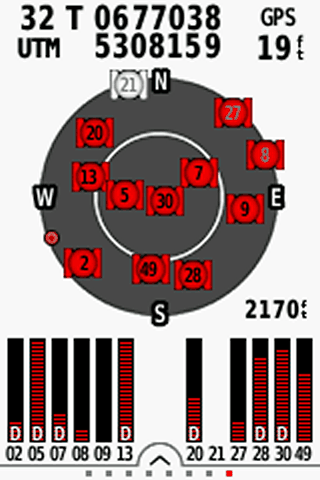 "Dashboard > Geocache" for a geocaching profile. 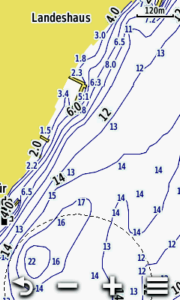 Our preference is "Custom": "When Navigating > Small Data Fields", "When Not Navigating > None" (while navigating you have four data fields on top of the map; otherwise the map is completely visible). 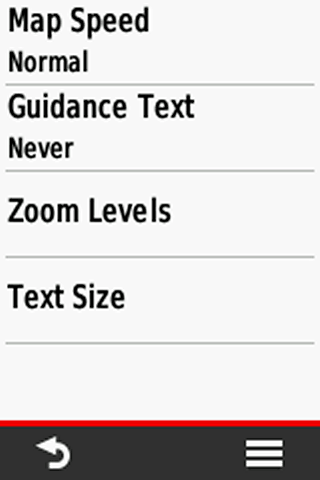 For a better readability use "Do not show". 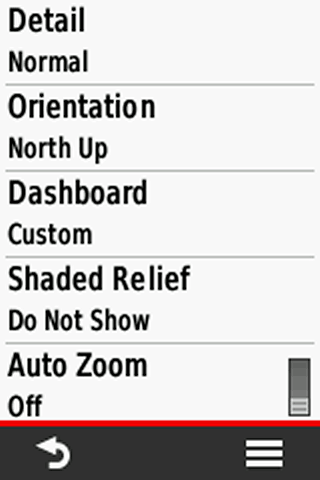 When you need the relief choose "Show if Available" or at least "Auto" (shaded relief disappears when zooming in the map). 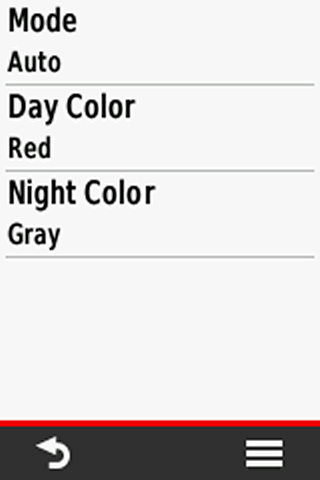 "Normal" is usually fine, "Fast" decreases battery life. 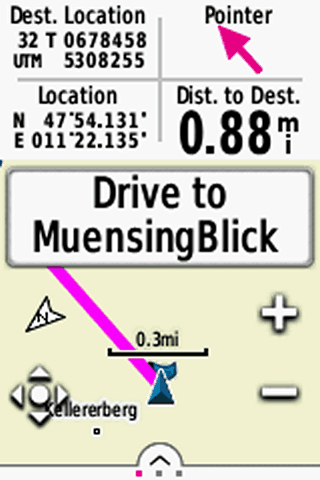 When navigating, a guidance text with usefull informations like "Drive to …" appears at the top of the map. Best choices are "When Navigating" (e.g. for cycling) or "Never" (e.g. 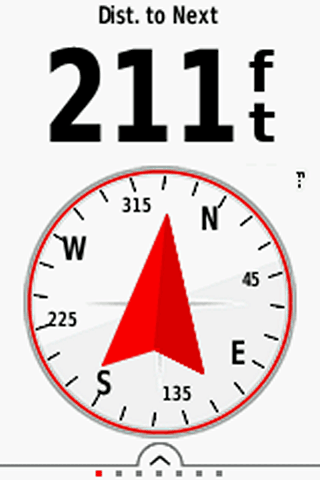 for geocaching, when using "Direct Routing"), depending on you activity or profile. 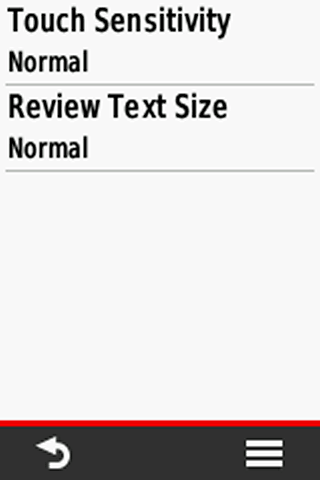 Use the default or use "Small" or "Medium", "Large" is usually too much. Track recording method; our recommendation: "Auto" (good choice for most outdoor activities). 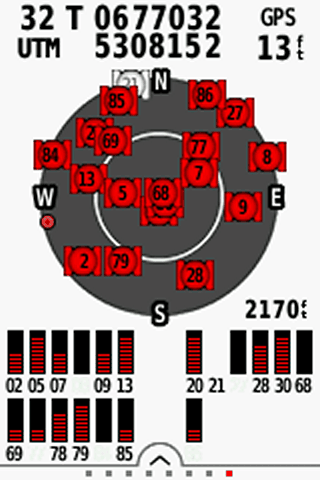 When using "Auto Pause", the device pauses recording below a speed of approximately 2,5 km/h. Should not be used e.g. when hiking or cycling up slowly mountains. 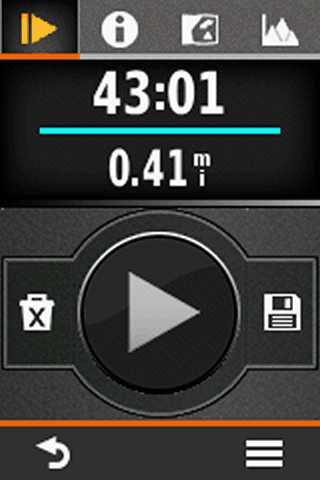 Starts track recording automatically after the device is powered on and has acquired the gps position. 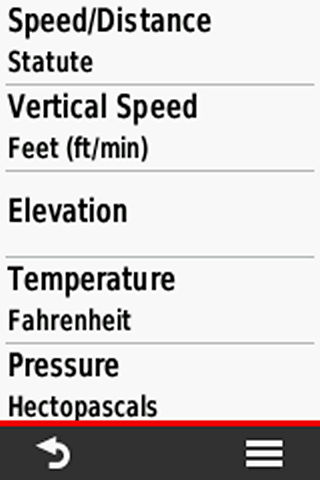 Tip: When "Auto Start" is active, reset the track log immediately before starting the tour (first determined position might be some meters off your current position). Read in the next section. 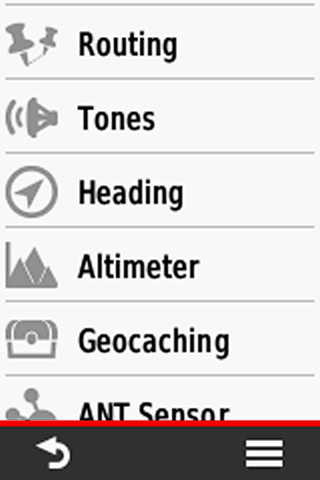 Option "Tracks (GPX/FIT)": When saving the current recording, you find a new track in the "Track Manager" and a new activity in the "Activity History". 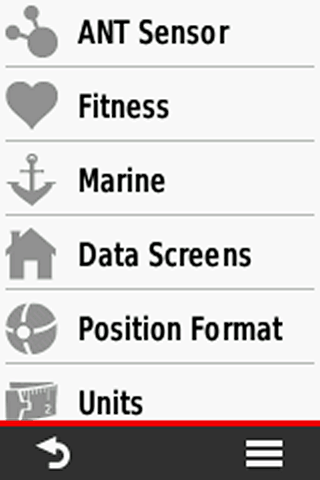 Option "Activities (FIT)": When saving the current recording, you find a new activity in the "Activity History". 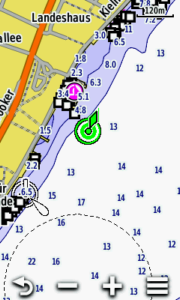 GPX-Tracks in the "Track Manager" offer some more options than activities (e.g. 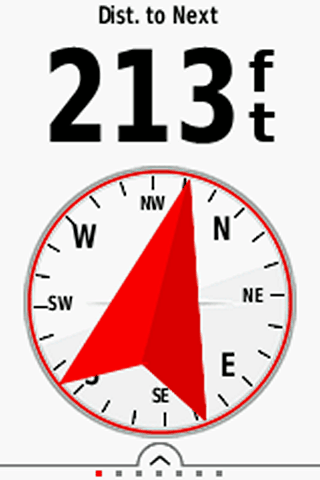 "Show On Map" in different colors). 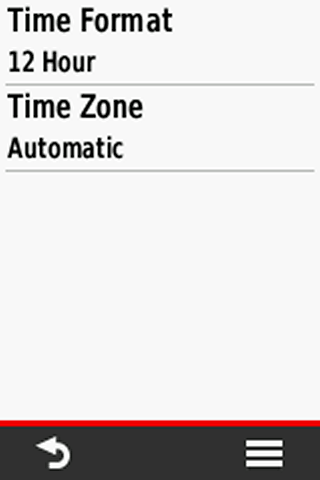 FIT-Activities in the "Activity History" can be saved as tracks; after this procedure they are listed in the "Track Manager" and can be selected in the "Where To?" menu. Activities contain some fitness relevant informations being usefull in the Garmin Connect Online Community. 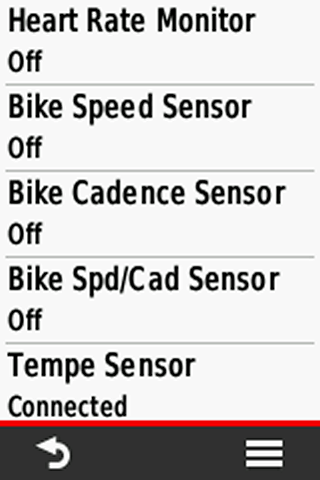 Tracks are saved in the device folder "Garmin\GPX" in the gpx file format (you have access to the folders when the device is in the mass storage mode). 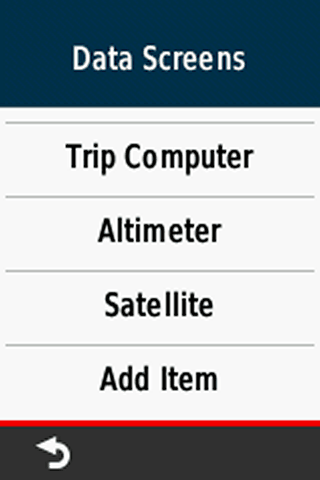 Activities are saved in the device folder "Garmin\Activity" in the fit file format. Fit files use less memory space. 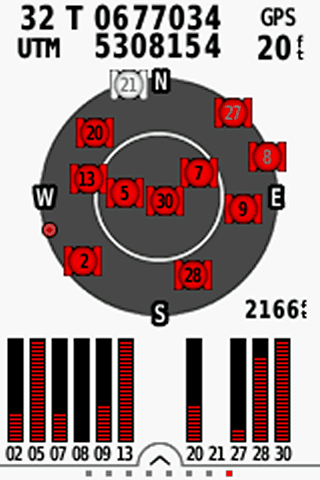 Use "During Activity": trip computer recording is active when starting the track log, suitable for most activities. 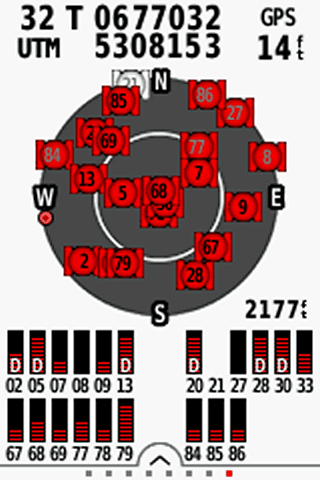 "Always": might be interesting for activities like geocaching; the trip computer is always active when the device is turned on, trip computer recording is independent from the track log. 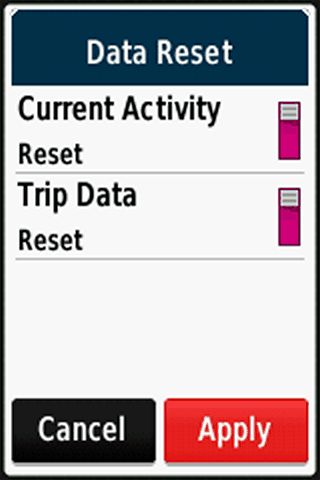 "Prompted" is recommended; you can clear the track log and/or the trip data, independent of each other. 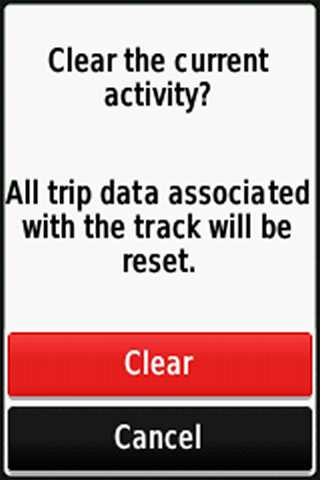 "Activity and Trip": you must clear the track log and the trip data together. Depends on the activity and your personal preferences, e.g. 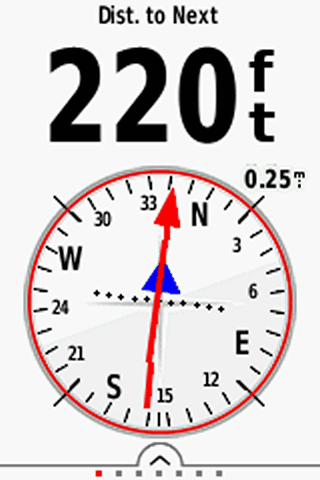 "Minimize Time" for automobile driving or "Minimize Distance" for hiking. 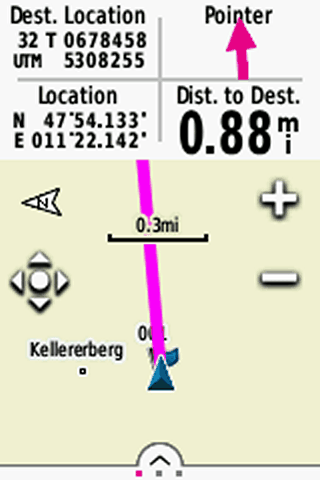 "Prompted": you can select the calculation method after setting the destination. "No", except for activities like road cycling or automobile driving ("Yes": locks your current location on the nearest road, also called "snap to roads"). 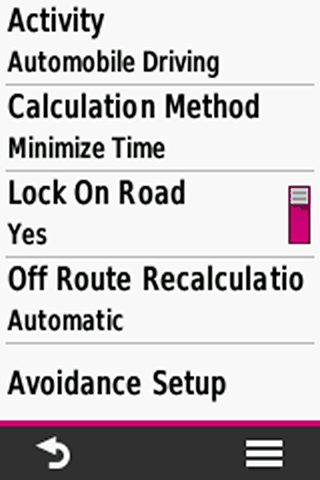 When you detour from the calculated route, the device recalculates a new route; choose the setting in dependency of the activity, e.g. "automatic" for automobile. 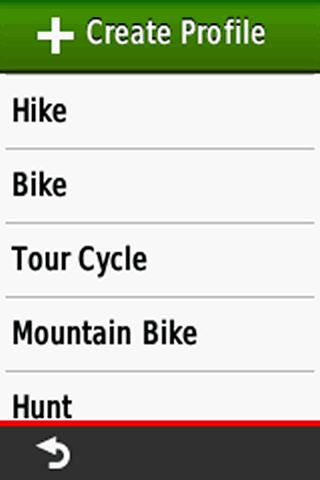 Select an activity type matching your profile, e.g. 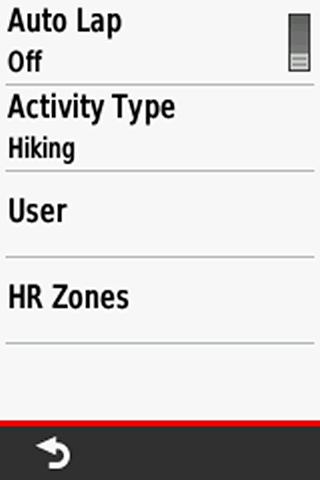 "Hiking" for a hiking profile (then the activity appears in Garmin Connect as a hiking activity). 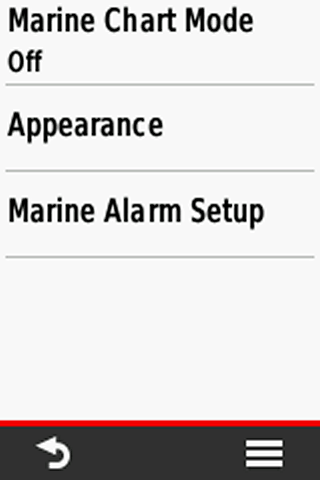 Marine alarms, "Anchor Drag Alarm" and "Off Course Alarm"
Select / Remove / Move the screens you need in your main menu - keep it simple, less is more! Use "High", even without gloves the best choice for the eTrex Touch. 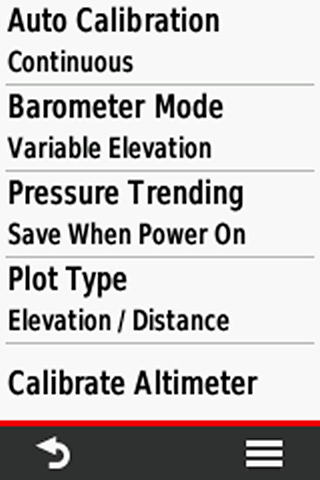 How-to: Activate a default Garmin profile (e.g. 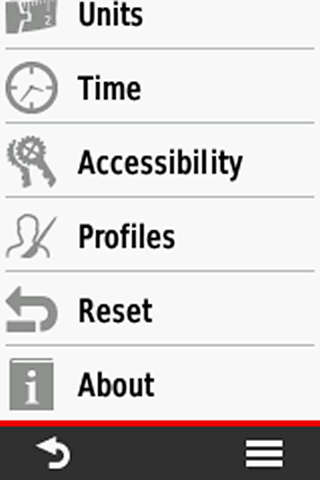 "Hike", function "Profile Change"), go to "Setup > Profiles > Create Profile", your new profile has the same settings as the previously activated "Hike" profile, then you can rename and tweak the new profile as you like. Has the same functionality as the reset button in the "current track" screen (screenshot below). Should be done before starting a new trip/activity. Clears the actual activity (active log). Should be done before starting a new trip (alternative: reset in the “Current Activity” function). Restores the current profile, e.g. 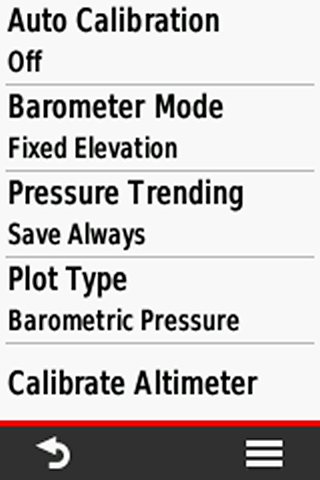 when you changed a Garmin profile, you can reset it to the default. 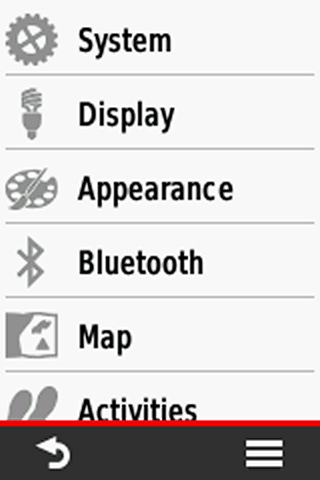 Function / Icon "Current Activity": Start an activity; press the "i" icon on top of the screen; activate "Show On Map" – that’s it!